Vital Official Warning To All NYSC 2019 PCM – MUST READ! 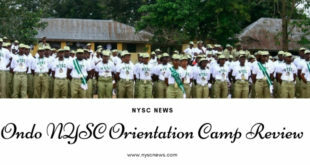 This is simply a thread for every NYSC 2019 Batch A Prospective Corps Members who have successfully completed their registeration. All you need to do is just share your experience below for thousands of others to see how it feels. Use the comment box below to share! The Best Solution For All NYSC 2019 PCM Now – MUST READ!